It’s a Match! Which Pair Watches Suit You and Your Partner? Every couple have their own way of bonding with each other. Some couples party, while some enjoy a quiet night binge-watching their favorite movies or TV series. 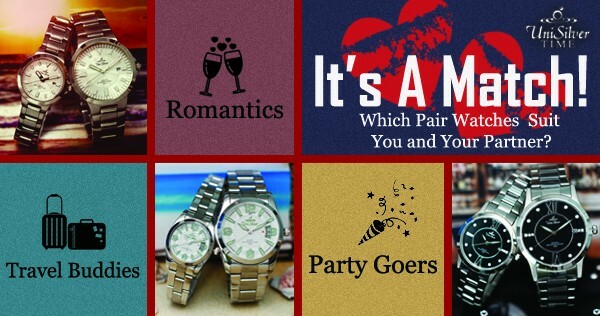 Find out which type of couples you are and which pair watches will suit you both. They are the life of every party. Everybody knows and loves them. They spend most of the night at the club. They are the couple that is always on the scene and discovers new and exciting things. UniSilver TIME Epiphany is your watch. Epiphany denotes the discovery of something new, and as a couple that discovers new things all the time, these pair watches are for you. They would add bling to your OOTDs (or OOTNs for that matter) for your parties, and not to mention, they would look good with your simple black attires. The face is simple in design yet evokes timelessness and a refined taste. Just like both of you, these pair watches are sophisticated and never go out of style. They are the couple-on-the-go. Every week they have a plan and a place to visit. From different beaches to the highest mountains - name it - they have been there. They are almost never home and they always have the greatest stories to share. 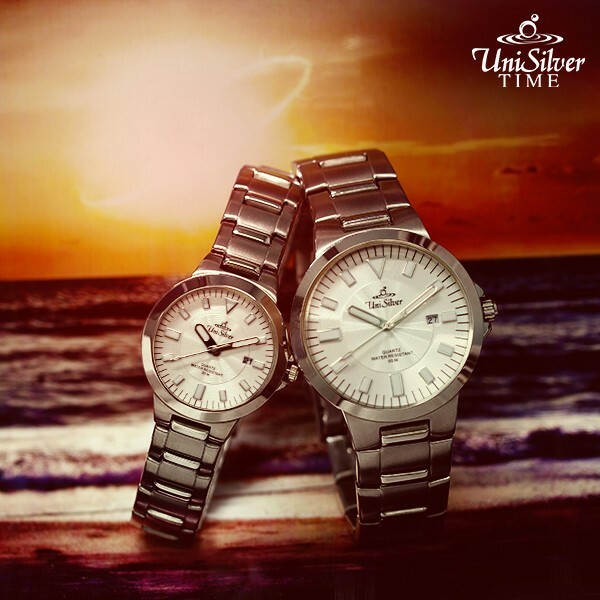 You will love the UniSilver TIME Vantage Point pair watches. These watch are made of hypoallergenic and durable materials for maximum comfort on your wrists and to withstand wear and tear. Take them with you in all your travel destinations - they are a must have for travelers. For these couples, their honeymoon stage won't end anytime soon. They are all over each other all the time. Always on a date. Doing things together. Their hands seems to be intertwined, they're inseparable. The couple that makes everyone feel the love when they are with them. 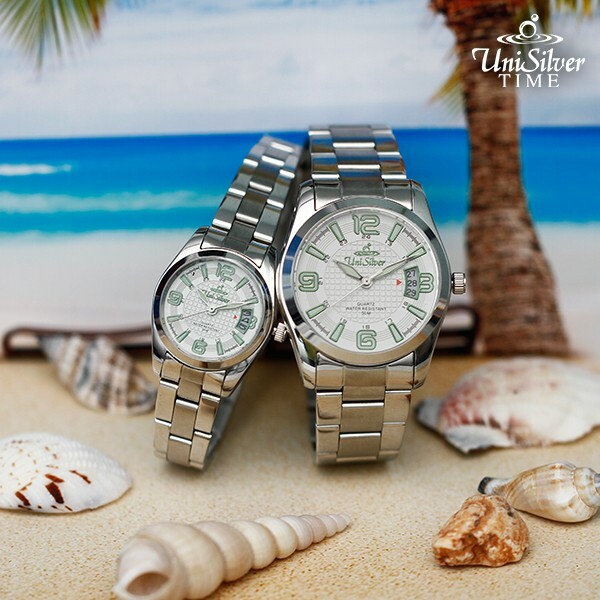 UniSilver TIME Zenturia pair watches would be perfect for you both. The romantic aesthetic and simple lines in the design achieve a visual balance that give these watches their classic elegance. Plus, they will look good on your wrists while swaying your hands held together. This couple usually stay home and binge-watch TV series and movies together. They rarely leave the comfort of their house, but when they go out, they just usually go to the malls to shop or to watch movies. 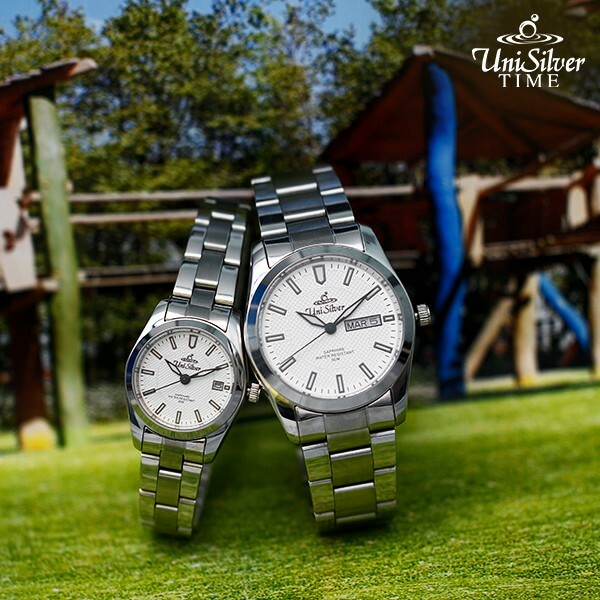 The UniSilver TIME Mezzo pair watches fit you both. They are classic pair watches with a relatively thin casing and with some details on the bracelet to suit your chill personality. Whether you are wearing a denim for a day on the mall or a formal attire for a nice get together, the Mezzo pair watches will polish your look with its elegance. They are the couple that have been together since forever. They know each other really well and always have each other's back. You would seldom see one without the other. They are the type of couple that everyone quietly envies and hopes to be like them. 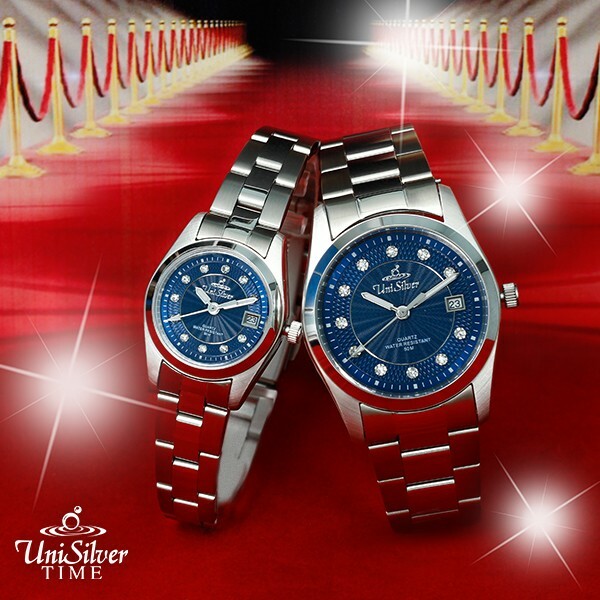 The UniSilver TIME Teisu-Elements pair watches are what you need. Teisu means "constant" in Japanese, and these watches evoke and emphasizes your constant togetherness. This couple looks so good together. We want to hate them so bad but we can't because we find their affection for one another so appealing. We can't help but like their pictures when they upload them. Candies are envious on how sweet they are together. Their main goal is just to make each other happy. 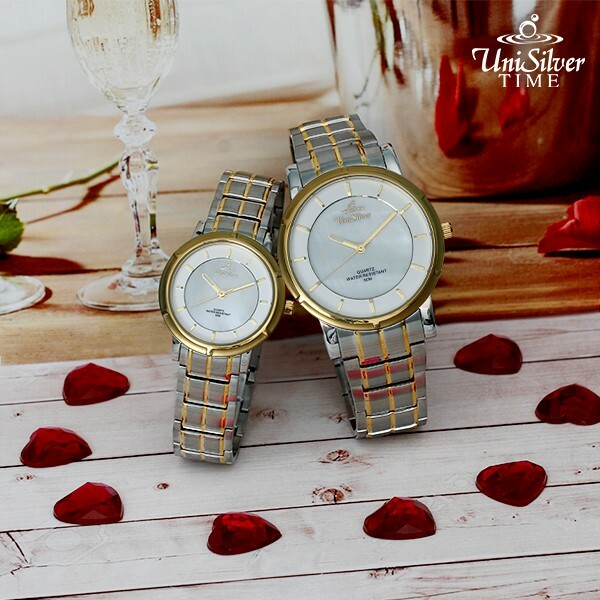 UniSilver TIME Metriko pair watches would look good on the both of you. Receive more admiration once you wear these phenomenal timepieces. The fine and sturdy casing and bracelet styled simply yet adorably would have everyone like you even more. A perfect watch for the perfect match. They are the couple that are ahead in their respective careers and yet have the time to be with each other. They are epitome of what everyone desires in a relationship and they have tremendous influence over people around them. They may have ups and downs but always seems to make it work. 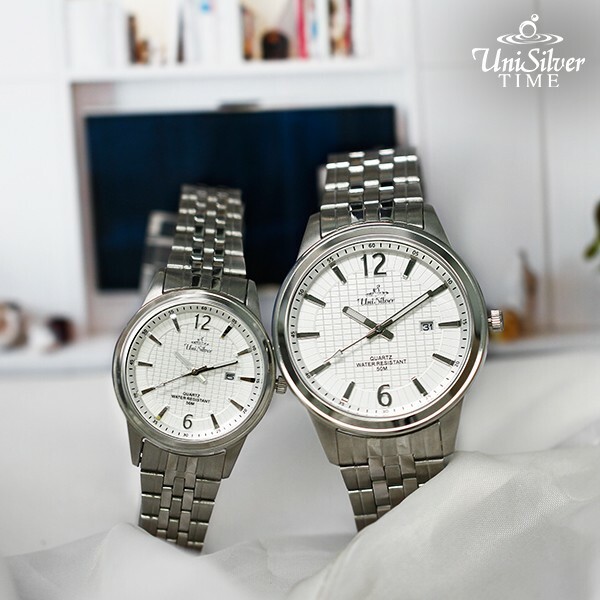 UniSilver TIME Astronicon pair watches are the best timepieces for you. They are fashionable and elegant watches that could be worn with your formal attires or even your casual ones and still radiate confidence and sophistication. The power watch for the power couple. 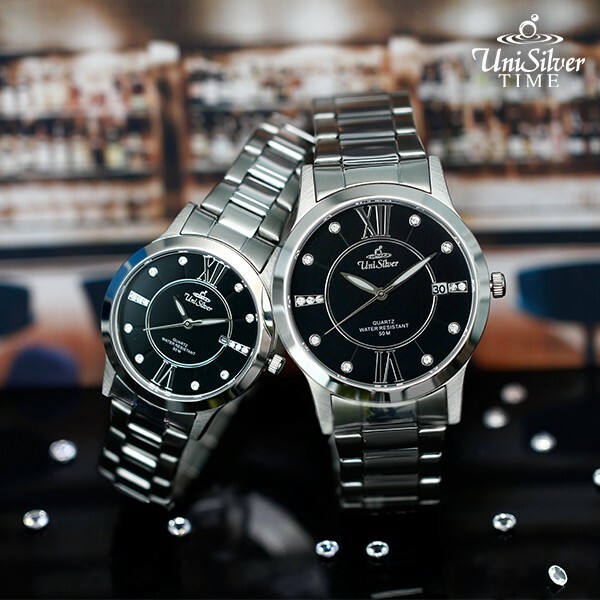 So whether you're the type of couple that parties or the one everyone envies UniSilver TIME surely has a pair watch for you!